Donald Trump's trade wars bring first fruits. Because of the import duties imposed on Chinese goods, China’s GDP growth slowed to 6.5%. This low level was registered in 2009, when the world economy plunged into the global financial crisis. The agency S & P Global warns of a debt hole in which China may fall. It predicts the size of off-balance sheet debts of Chinese municipalities in the amount of 4.5-6 trillion dollars because of the huge investments in infrastructure. Trump's tariff war against the Middle Kingdom is aimed at solving several problems at once. First, it is trying to reverse the historical trend, when in the trade with China, the United States has a huge deficit of $ 380 billion. Secondly, the White House is trying to raise the rating in the eyes of American manufacturers, protecting them from Chinese expansion. And thirdly, to contain the challenge that China threw to the political and economic dominance of the United States. In Trump's national security strategy, China along with Russia appears as one of the main threats, and Secretary of State Mike Pompeo considers Beijing to be a more dangerous threat in the long term than Moscow. The Chinese began to feel the main burden of Trump’s policy in September, when Washington announced duties against almost half of Chinese imports to the States. It will only get worse. 10 percent tariffs on goods priced at $ 200 billion from 2018 will rise to 25%. If the Celestial Empire resists, then Trump may impose duties on all Chinese exports, reaching $ 500 billion. 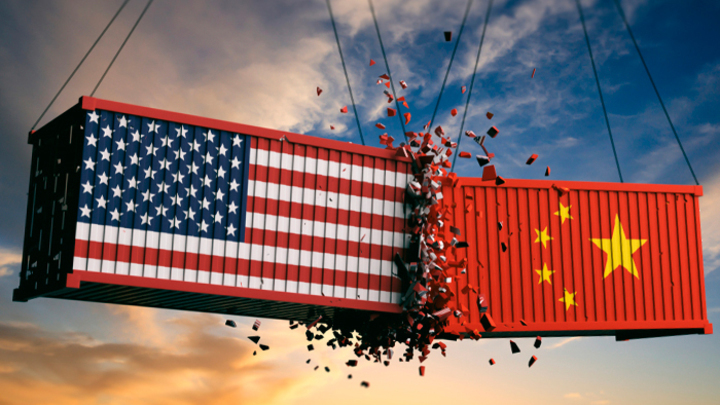 US tariffs on imports from China pose an obstacle to the further growth of China’s exports. This causes a rise in inflation in the United States, as prices for goods from China are rising. In addition, in the United States, because of this, unemployment continues to decline, and the income of the population grows, which creates a demand for goods and services, which also cause inflation. Rising prices and record-breaking unemployment rates are forcing the Fed to raise the key rate to control inflation. This leads to the second and third factors of a slowdown in the growth of the Chinese economy - the volatility of financial markets in developing countries and pressure on Chinese currency.